Well, this year fans got the final say on who won the dunking competition, so we are getting there. 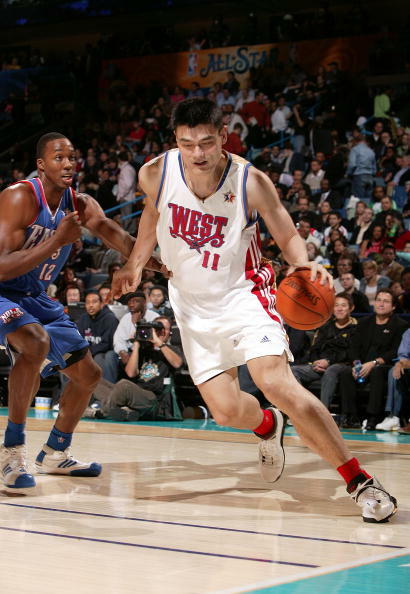 Afterall, I always thought the all-stars were for fans and as a fan, I wanted to watch yao play a bit more, if I'm not getting that, then I just won't watch it. When someone like David West gets more minutes than Yao, it just pisses me off, I didn't put my vote in to watch more David West, whoever he is. Looking at the East side playing time, looks much more 'rational'. The starters all had a 'minimum' of 20+ min, with fan favourites (according to votes), dwight and lebron racking up 30min each, which they deserve. The way I see it is, if you want more playing time, play better bball, become more popular, become a fan favourite so they vote for you. 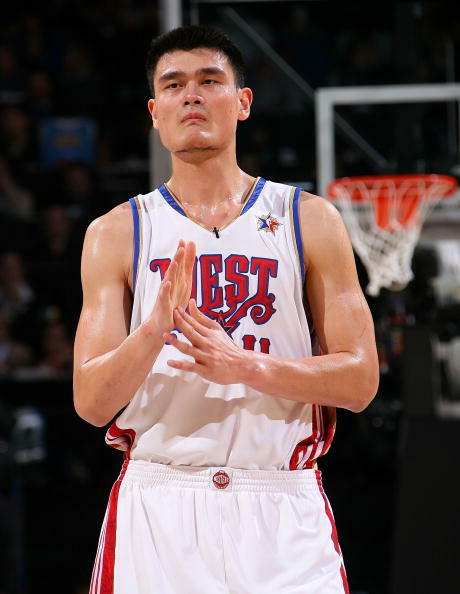 There should be a minimum number of minutes an all star 'starter' gets (eg. 20min+ sounds about right). Byron Scott is the coach for the new orleans horents... daivid west and chris paul also play on the new orleans horents..... too bad that byron scott is coaching the west all stars team.. of course they both going to get alot of more playing timethen yao ming..
You do know that Kobe was injured don't you? BTW. 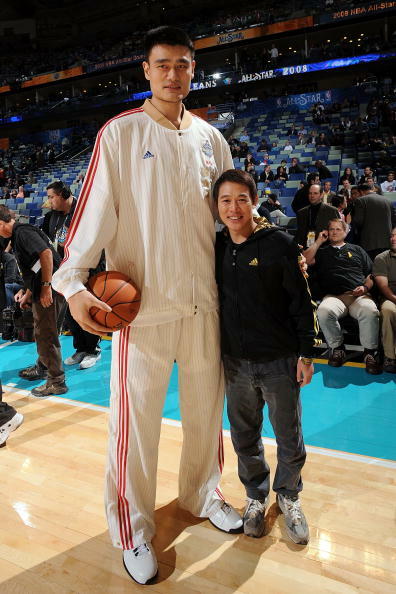 I just hope fans in China didn't take the day off work to watch Yao played in the ASG! Explain to me then why Boston Celtics coach Doc Rivers put Paul Pierce for 12min and Ray Allen for 18-19min. Ok I can see where Chris paul/West come from, since it's in New Orlean afterall (forgot about that part before), but when players like Roy, Nowitzki, Stoudmire, Boozer, Nash ALL get major minutes over Yao, I get annoyed. If fans actually wanted to see more of them at the All-stars, they'll vote for them??? if kobe was healthy, he'd get over 20min, no questions, no doubts, everyone knows this. can you imagine what would happen if this happened to a healthy shaq during his prime, getting the least minutes then all of the bench by quite a bit. 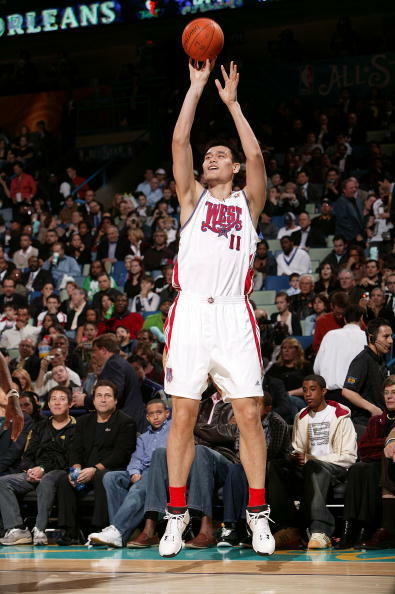 Okay before anyone else gets to upset (that also includes ME), apparently it was YAO's decision to play those number of minutes. He requested that with Byron Scott. Here is a quote from Fran. 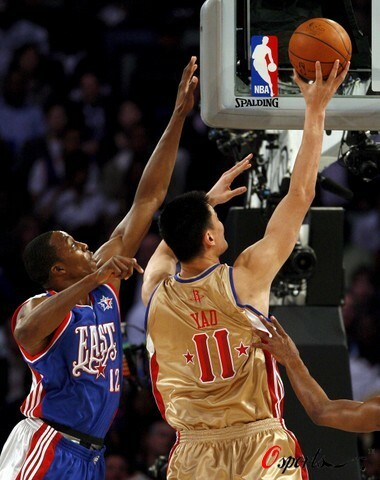 Snap shots of Yao Ming in action in very limited play minutes in the 2008 NBA All Stars Game. hah... okay.. i didn't know..
Last edited by johnl on Mon Feb 18, 2008 12:52 am, edited 1 time in total.